There are thousands of promotional items from which to choose that can help to promote your business to the world. A company logo on an everyday item can be a powerful piece of advertising. 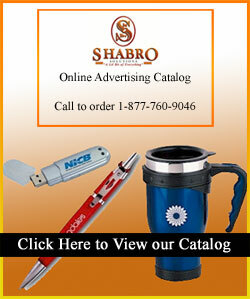 Shabro Solutions can provide you with a complete catalog of Promotional Items by going to the "Request Information" page of this site and completing the form. You can also call Shabro Solutions at 1.877.760.9046.